This week the guys switch gears and bring on a sprinter from North Vancouver, British Columbia, Canada. Karin Femi (@LooseLeafRunner) never ran growing up and suffered from knee pain as an adult. On a whim, she did a 1k fun run and found she like it. 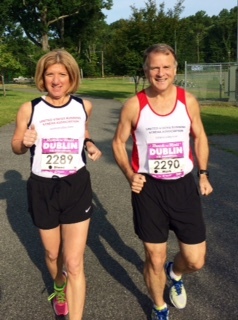 So, Karin did what most runners do — she tried a longer race, the 10k. 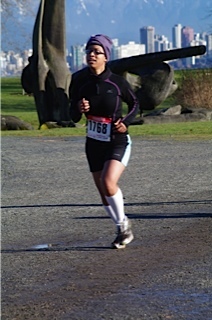 Karin quickly found that her talent and passion were for shorter distances. She connected with a sprint club and hasn’t stopped sprinting. 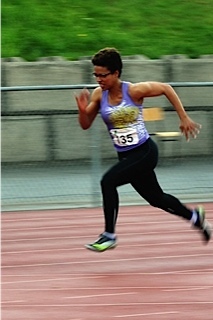 Karin is now chasing her dream of qualifying for the Canadian Track & Field Championships in the 100m and 200m! 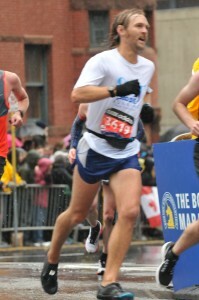 Karin also supports the running community as a personal trainer focused on injury prevention.